Major storms at any time of the year can cause power outages that have the potential to last for days, maybe even weeks! Our range of whole house backup generator options will make sure that you never lose power during a storm again. 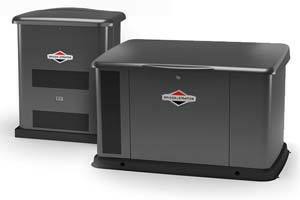 You can rely on the Carpenter & Smith team for all the help you need to choose the perfect whole house backup generator to suit your home and your budget. Whole house propane and gas-powered generators with automatic transfer switches. Getting a backup generator AFTER a storm hits is too late. Plan ahead and be prepared the next time major storms are in the forecast. Keep your power on and your everyday routine up and running with one of our backup generator options.